Most all of the sign-off videos are back online, but a few of them are still missing. They will be back momentarily. Thanks again for your understanding and patience in this matter. 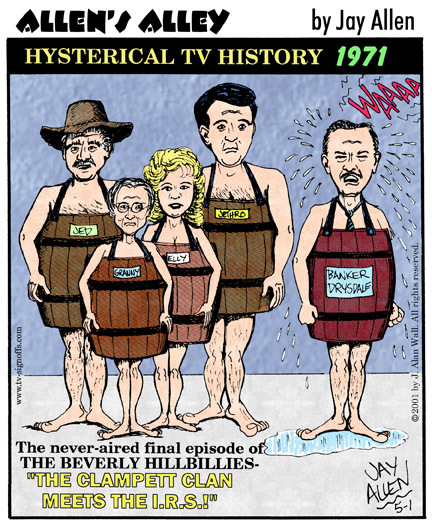 This site, founded in 2007, is devoted to the memory of a bygone era in American broadcasting when all TV stations' programming ended at the conclusion of Johnny Carson's Tonight Show or the local Late Movie, or whatever.  This site featues authentic recordings (and a few re-creations) of U.S. television stations ending their broadcast day with the playing of the Star Spangled Banner (SSB), America The Beautiful (ATB) or some other patriotic piece before cutting the juice or going to a test pattern. With very few exceptions, all U.S. TV stations now operate 24 hours a day, seven days a week, filling their overnight schedules with infomercials, home shopping fare, all-night network news, movies and daytime talk-show reruns. NOTE: The video files featured on this website are taken from the Webmaster's VHS home recordings of over-the-air and cable video captures, clips contributed by others and embedded YouTube videos. The quality varies from clip to clip, due to TV reception and recording issues. None of the clips that are featured here have been authorized by the various television stations, networks or any other entity. Graphics, design and descriptions copyright 2007 to 2019 by J. Alan Wall. All rights reserved. 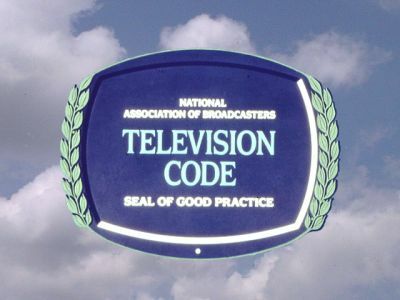 your assurance of high television standards in the public interest.